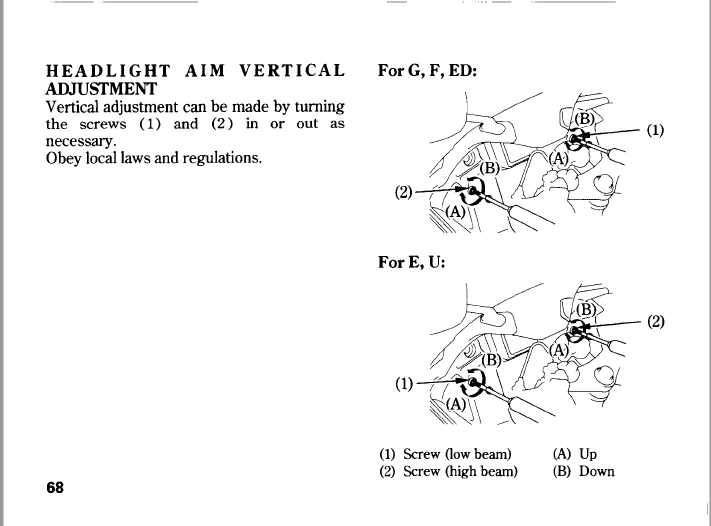 how do you adjust the aim, also, why is my beam like this? You don't adjust them and something is broken would be my guess. Why haven't you downloaded the factory service manual that will tell you everything you need to know yet? Tell me why i found another post telling me how to adjust it then... and i did, i've downloaded multiple and to no avail with most of my questions..
this is a brand new headlight assembly so is it just the bulb then..? Make sure your bulb is seated correctly or it will throw some pretty funky light.